Discover the ports, vineyards, farms and forests of Aquitaine, once Europe’s richest kingdom. See Bordeaux’s fountains and cellars. Hunt for truffles in Périgord, then taste them in a home-cooked meal. Create your own personal blend of Cognac at the Camus distillery. Savor France’s finest oysters fresh from the bay at Arcachon. 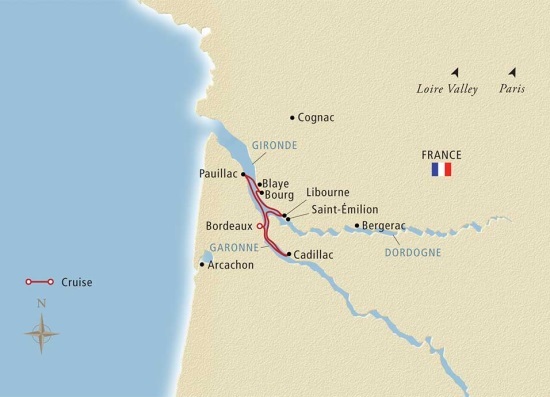 Sip Saint-Émilion, Médoc and Sauternes in their own terroir on an 8-day cruise through Bordeaux—a region synonymous with fine wine and finer living.